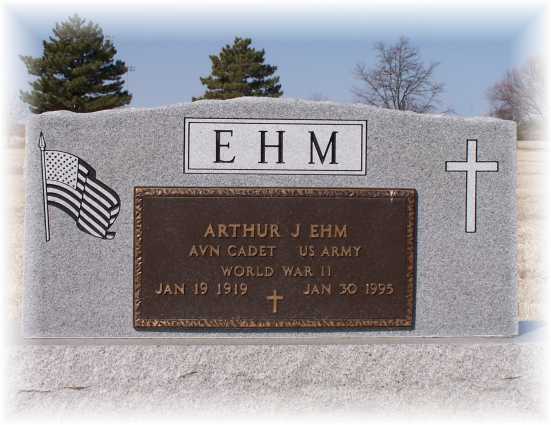 Arthur John Ehm, the son of Henry and Frieda Zimmerman Ehm, was born January 19, 1919 in Phillips County and departed this life at the Phillips County Hospital on January 30, 1995 at the age of 76. Art attended school in Phillips County at the Morningside school and finished one year of high school in Phillipsburg. Following school, Art farmed with his father until he was drafted into the service at San Marcos, Texas. Later he was transferred to Big Springs, Texas where he graduated with top honors in the U.S. Air Force. Art served overseas and was taken a prisoner of War in Germany the last of December. He was held a prisoner until the end of the war and was discharged as a First Lieutenant. He received the Distinguished Flying Cross and Purple Heart. Art was a member of the Myers-Hesler VFW, Phillipsburg and the 388th Bomb Group. Art was united in marriage on June 3, 1944 to Alice M. Beckmann at Big Springs, Texas. To this union three children were born: Don, Richard and Betty. Art and Alice celebrated 50 years of marriage on June 3, 1994. 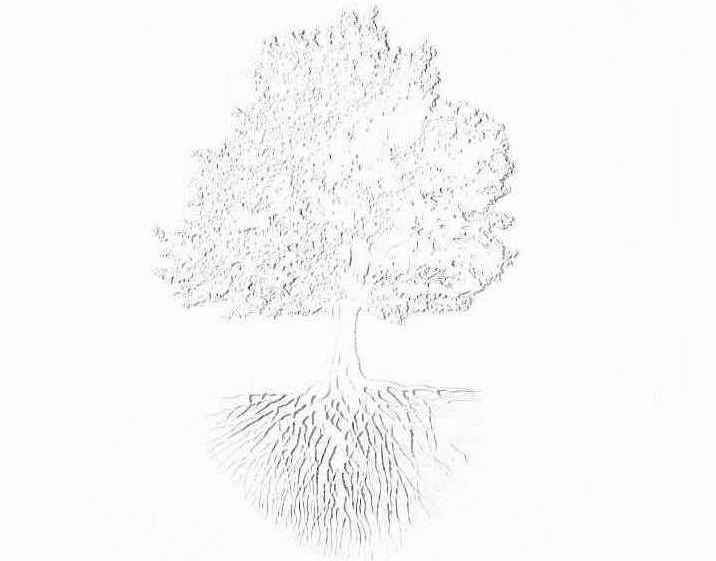 Art was a lifetime confirmed member of the Emmanuel Lutheran Church, Stuttgart where he served in many capacities. He also served on the Co-Op Board of Directors. Art was a loving husband, father and grandfather to his family, and a good neighbor and friend to all. He will be sadly missed by all who knew him. He leaves to mourn his passing, his wife, Alice of the home; two sons, Don, Phillipsburg and Richard, Merriam, one daughter, Betty Jean Frost and husband, Harvey, Mesa, Arizona; five grandchildren; Brenda and Chuck Badger, Gillette, Wyoming; Caci Ehm, Garfield, Mike Ehm and wife, Amy, Phillipsburg and Jennifer and David Frost, Mesa, Arizona; five great-grandchildren; Justin Tayler, Bethany and Courtney Badger and Devon Ehm; his step-mother, Ida Ehm at Long Term Care; a brother in-law, Maynard Beckmann, Gaylord and two sister in-law, Ruby Feldman, Athol and Leta Luzar, Kansas City, Kansas, and many nieces and nephews and friends. Funeral services were held Saturday, February 4 at 3 p. m. in Emmanuel Lutheran Church with Pastor Gerald Buss officiating. Jean Horner, soloist, sang “On Eagle’s Wing’s” and the congregation sang “O God Our Help in Ages Past” and “What a Friend We Have In Jesus” accompanied by Helen Witmer. Casket bearers were: Mike Ehm, Jack Witmer, Brian Anderson, Gary Bills, Larry Feldman and Maynard Beckman. Honorary bearers were: Bob LeClere, Richard and Don Ehm, Carl Newman, Richard Ames, John Biggs, Chuck Badger and Brent Harrison. Interment was in Fairview Cemetery, Phillipsburg with Folding of the Flag and Taps by Meyers-Hesler VFW Post #1360. Arrangements were handled by Oliff-Boeve Memorial Chapel. Our sincere appreciation to friends, neighbors and relatives for the many kind deeds and expressions of sympathy we received at the time of Art’s death. Your flowers, memorial gifts, cards, calls, food brought in and all other kindnesses were a comfort to us all. A special thank you the VFW women for serving our dinner the day of the funeral. PHILLIPSBURG — Alice M. Ehm, 83, died Friday, September 3, 2004, at Infamy at Kensington. She was born January 2, 1921, in Smith County to Henry W. and Augusta “Aug” Beckmann. 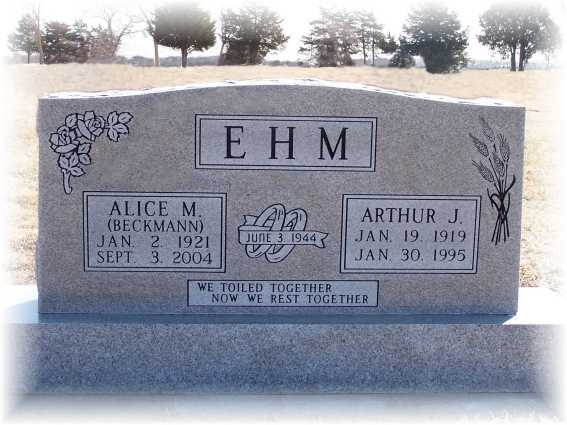 She married Arthur J. Ehm on June 3, 1944, in Big Springs, Texas. He died Jan. 30, 1995. She was a homemaker. Survivors include two sons, Donald Ehm, Phillipsburg, and Richard Ehm, Kansas City, Kansas; a daughter, Betty Frost, Mesa, Arizona; a brother, Maynard Beckmann, Gaylord; a sister, Leta Luzar, Shawnee; five grandchildren; two step-grandchildren; and seven great-grandchildren. She was preceded in death by an infant son, Melvin Paul Ehm. Services will be at 10 a.m. Tuesday at Emmanuel Evangelical Lutheran Church, Stuttgart; burial in the Fairview Cemetery, Phillipsburg. Visitation will be from noon to 9 p.m. today and Monday at the Olliff-Boeve Memorial Chapel, Phillipsburg. Richard Ehm, 62, Phillipsburg, died Thursday, Feb. 18, 2010, at his home. He was born Dec. 10, 1947, in Phillipsburg to Arthur J. and Alice M. (Beckmann) Ehm. He was a crane operator at an oil refinery. Survivors include two brothers, Donald Elm, Phillipsburg; and a sister, Betty Placone, Mesa, Ariz.
Services will be at 2 p.m. Friday at Olliff-Boeve Memorial Chapel, Phillipsburg; burial in Emmanuel Evangelical Lutheran Cemetery, Stuttgart. The casket will remain closed. Friends can sign the book from 9 a.m. to 9 p.m. Wednesday and Thursday, both at the funeral home. Memorials are suggested to Emmanuel Evangelical Lutheran Church in care of the funeral home.